The word romance connotes love and wooing, but when it has a capital R, as in Romance languages, it probably refers to a set of languages based on Latin, the language of the ancient Romans. Latin was the language of the Roman Empire, but the classical Latin that was written by the literati like Cicero was not the language of daily life. It was certainly not the language soldiers and traders took with them to the edges of Empire, like Dacia (modern Romania), on the northern and eastern frontier. Romans spoke and wrote graffiti in a less polished language than they used in their literature. Even Cicero wrote plainly in personal correspondence. The simplified Latin language of the common (Roman) people is called Vulgar Latin because Vulgar is an adjectival form of the Latin for "the crowd." This makes Vulgar Latin the people's language. It was this language that the soldiers took with them and that interacted with native languages and the language of later invaders, particularly the Moors and Germanic invasions, to produce the Romance languages throughout the area that had once been the Roman Empire. 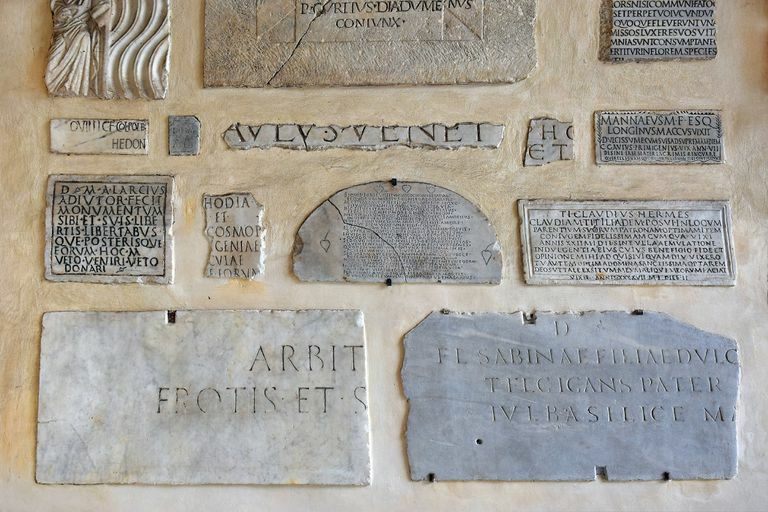 By the 6th century, to speak in the Latin-derived language was to fabulare romanice, according to Portuguese: a Linguistic Introduction, by Milton Mariano Azevedo (from the Spanish and Portuguese Department at the University of California at Berkeley). Romanice was an adverb suggesting 'in the Roman manner' that was shortened to romance; whence, Romance languages. Some of the general changes to Latin were the loss of terminal consonants, diphthongs tended to be reduced to simple vowels, the distinctions between long and short versions of the same vowels were losing significance, and, together with the decline in terminal consonants that provided case endings, led to a loss of inflection, according to Nicholas Ostler in Ad Infinitum: A Biography of Latin. The Romance languages, therefore, needed another way to show the roles of words in sentences, so the relaxed word order of Latin was replaced with a fairly fixed order. Roman Province: DaciaOne of the changes to Vulgar Latin made in Romania was that an unstressed 'o' became 'u,' so you may see Rumania (the country) and Rumanian (the language), instead of Romania and Romanian. (Moldova-)Romania is the only country in the Eastern European area that speaks a Romance language. At the time of the Romans, the Dacians may have spoken a Thracian language. The Romans fought the Dacians during the reigns of Trajan who defeated their king, Decebalus. Men from Dacia became Roman soldiers who learned the language of their commanders -- Latin -- and brought it home with them when they settled in Dacia upon retirement. Missionaries also brought Latin to Romania. Later influences on Romanian came from Slavic immigrants. Reference: The History of the Romanian Language. Roman Province: LusitaniaOrbilat says that the language of the Romans practically wiped out the earlier language of the Iberian peninsula when the Romans conquered the area in the third century B.C. Latin was a prestige language, so it was in the interest of the population to learn it. Over time the language spoken on the west coast of the peninsula came to be Galician-Portuguese, but when Galicia became part of Spain, the two language groups split. Roman Province: Gallicia/Gallaecia.The area of Gallicia was inhabited by Celts when the Romans conquered the area and made it a Roman province, so the native Celtic language mixed with Vulgar Latin from the second century B.C. Germanic invaders also had an impact on the language. Latin Term: HispaniaThe Vulgar Latin in Spain from the 3rd century B.C. was simplified in various ways, including the reduction of cases to just the subject and object. In 711, Arabic came to Spain via the Moors, and as a result, there are Arabic borrowings in the modern language. Castilian Spanish comes from the 9th century when Basques influenced the speech. Steps towards its standardization took place in the 13th becoming the official language in the 15th century. An archaic form called Ladino was preserved among Jewish populations forced to leave in the 15th century. Roman Province: Hispania (Citerior).Catalan is spoken in Catalonia, Valencia, Andorra, the Balearic Isles, and other small regions. The area of Catalonia spoke Vulgar Latin but was influenced heavily by the southern Gauls in the 8th century, becoming a distinct language by the 10th century. Roman Province: Gallia Transalpina.French is spoken in France, Switzerland, and Belgium, in Europe. The Romans in the Gallic Wars, under Julius Caesar, brought Latin to Gaul in the 1st century B.C. At the time they were speaking a Celtic language known as Gaulish. Germanic Franks invaded in the early 5th century. By the time of Charlemagne (d. A.D. 814), the language of the French was already sufficiently removed from Vulgar Latin to be called Old French. Linguists may prefer a list of the Romance languages with more detail and more thorough. Ethnologue, a publication of the Summer Institute of Linguistics, Inc (SIL), contains a comprehensive list of languages of the world, including languages that are dying. Here are the names, geographic divisions and national locations of major divisions of the modern Romance languages given by Ethnologue. For more details, see: Lewis, M. Paul (ed. ), 2009. Ethnologue: Languages of the World, Sixteenth edition. Dallas, Tex. : SIL International. Online.